Choosing the right smartphone is tough. There are so many options out there, all bragging about specs and features that seem similar on the surface but are actually pretty different. 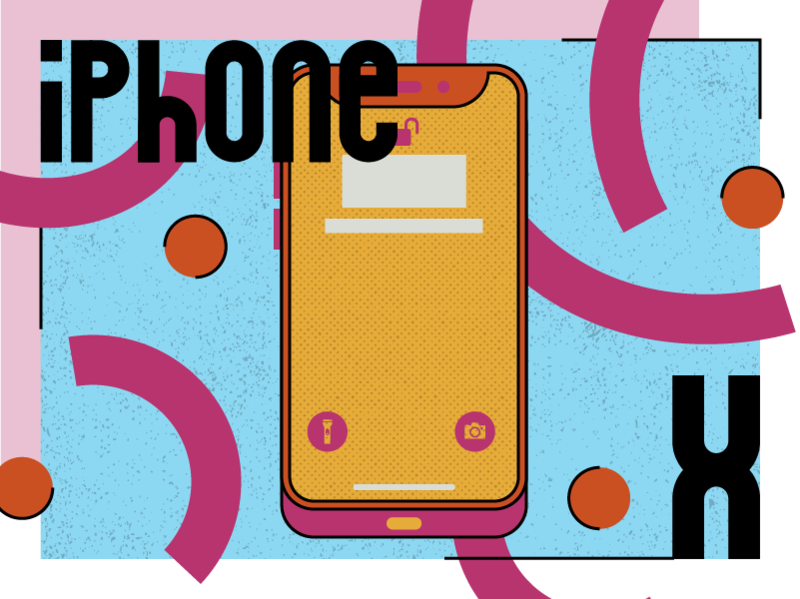 Luckily, we’re here to help with a simple guide to some of the most popular smartphones on the market at the moment. Despite their recent woes, Apple is still the biggest name in the phone game (in the US, at least). 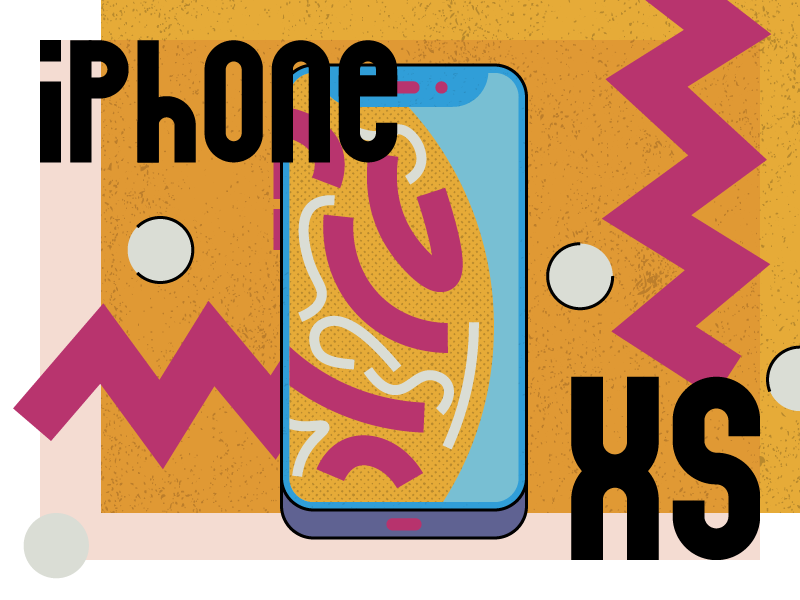 The iPhone XS (and its bigger brother, the XS Max) is their latest flagship and, unsurprisingly, it’s one of the best phones on the market in terms of specs and performance. It boasts an A12 Bionic chip capable of handling even the most demanding of apps and a fantastic 12MP dual lens camera for professional-quality photography. It looks incredible too. The front of the handset is dominated by an edge-to-edge 5.8” Super Retina HD display, interrupted only by a notch housing the front-facing camera and Face ID sensor, while the back is cased in glass to allow for wireless charging. The iPhone XS also includes iOS 12 and comes with three storage options: the 64GB, 256GB and a massive 512GB (all of which are further expandable with iCloud). Of course, all of these great features come at a cost. The XS and XS Max are Apple’s most expensive smartphones to date, with the top-end XS Max coming in at an eye-watering $1,499. If you want to save a few dollars (and then some…), we highly recommend checking out our refurbished iPhone XS range on the Decluttr Store! Launched to celebrate the iPhone’s 10th birthday, the iPhone X is still a super impressive device. It’s headline feature is the 5.8-inch edge-to-edge display, which introduced the now-iconic notch design adopted by countless other smartphone manufacturers (although the X’s notch is slightly bigger than its competitors). That isn’t the only major overhaul of the iPhone 6 design though. The Home button was also removed, taking Touch ID with it. Face ID takes its place, although you can still use a good old fashioned password if you prefer. The X also boasts a lot of power under the hood, including the ultra-powerful A11 Bionic chip. It’s capable of handling the vast majority of apps and games, and experiences very little lag – even during demanding tasks. Camera-wise, the iPhone X has a 12MP rear camera and a 7MP front-facing camera which delivers some of the the best selfies on the market. That alone makes it a contender if you spend a lot of time on Instagram. If the notch design of the iPhone X isn’t your style, the iPhone 8 is your best bet. It’s the last iPhone to use the hugely popular iPhone 6 design, boasting a perfectly-formed 4.7 inch Retina HD screen (or a 5.5 inch display if you go for the iPhone 8 Plus) and Touch ID too. Despite its slightly older design, the iPhone 8 still boasts a lot of power and even includes wireless charging. Crucially, it’s much cheaper than the X and XS range too. If you want to save even more money and aren’t that bothered about having a ton of power, consider the iPhone 7 instead. 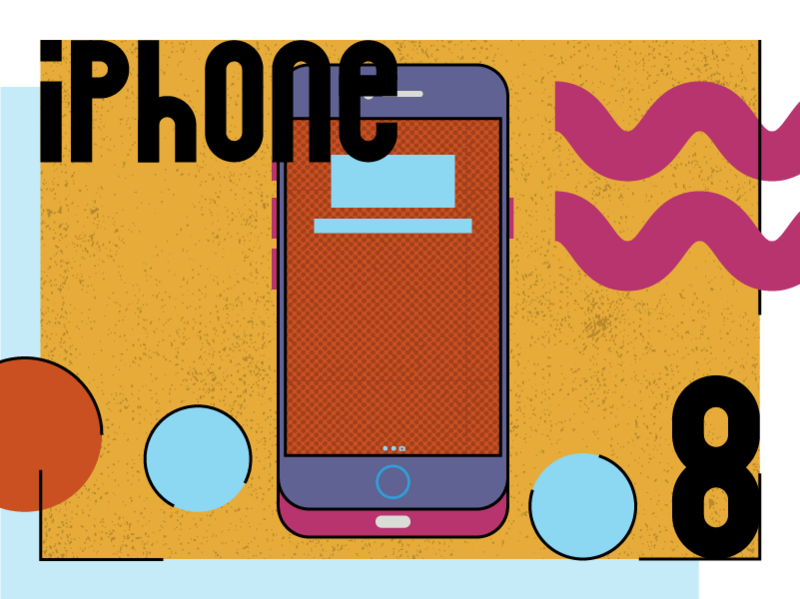 For years, Google outsourced the production of its smartphones to other manufacturers. It was only with the Google Pixel that they started building hardware themselves – and the change has really paid off. Google’s focus throughout the Pixel range has been on the camera and delivering the best possible photography experience through high-quality lenses and innovative software. The Pixel 3 features their best camera to date. The 12.2MP single-lens camera doesn’t sound that impressive on paper but the addition of machine-learning features make it one of the most powerful-yet-intuitive smartphones around. The headline photography feature is Top Shot, which takes a series of shots and recommends the best picture from the set (i.e. the one where no-one is blinking and everyone is actually looking at the camera). There’s also Super Res Zoom, which keeps pictures sharp when you zoom, and dual-front facing cameras so you can fit more into your selfies. It also includes Google Lens, which lets you use your camera to identify products, landmarks, plants and animals just by pointing your phone at them. On top of those camera features, you’ll get Fast Charging, an adaptive battery that adjusts battery usage based on your behaviour and a crisp 5.5” screen. All in all, this is a great option if you take a lot of photos or you’re planning to switch to Android. The main competitor to the iPhone, the Samsung Galaxy S10 is widely regarded as the best Android phone on the market thanks to a wide range of awesome features. 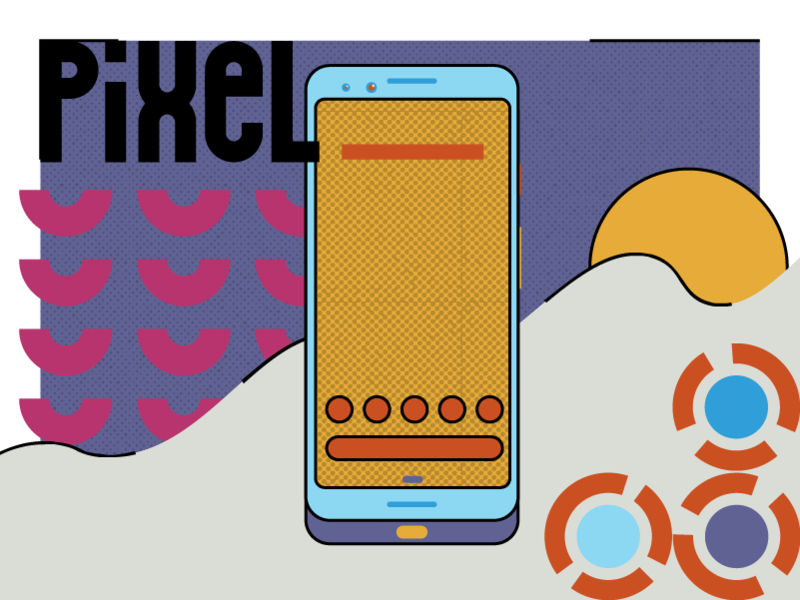 The most obvious is the 6.1” Infinity-O Super AMOLED display, which stretches from edge-to-edge and is punctuated only by a tiny punch-hold camera in the top right corner – a welcome change from the now-ubiquitous notch. In another innovative move, Samsung have embedded the fingerprint scanner beneath the screen too. Sitting at the rear are three cameras – a 16MP ultra-wide, 12MP wide-angle and a telephoto lens – with two front-facing cameras for all your selfie action. Meanwhile, the intelligent battery learns your routines and assigns power accordingly; no more apps that you haven’t used for months sapping all your battery! On top of all that the S10 and S10 Plus boast huge batteries; the S10 Plus’ 4,100mAh battery is one of the largest available, plus you get Wireless PowerShare so you can charge other devices using your phone. 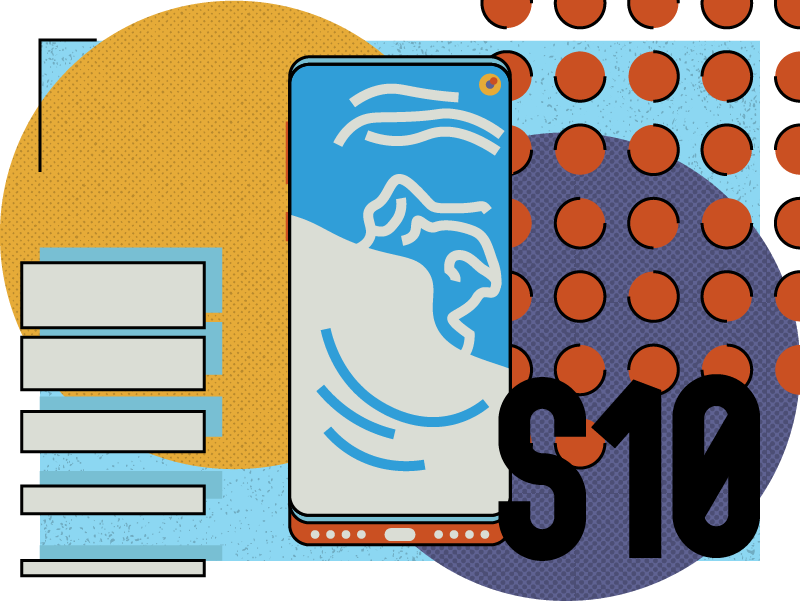 There are three S10 models to choose from: the S10, S10 Plus and the S10e. The S10 is the standard model, while the S10 Plus boasts a 6.4” screen and a 1TB option (which costs a lot of money). The S10e is the budget option, sharing the same design but lacking the embedded fingerprint scanner and a couple of other features. Overall, the Galaxy S10 is a fantastic option if you want the best of the best and you have the money to spend. However, there are plenty of other great value options on the market if budget is a concern… including one of the S10’s older siblings. Yep, we’ve skipped a generation. There’s nothing wrong with the Galaxy S9 – it’s great, in fact – but it’s not that different to the Galaxy S8 and it’s more expensive too. 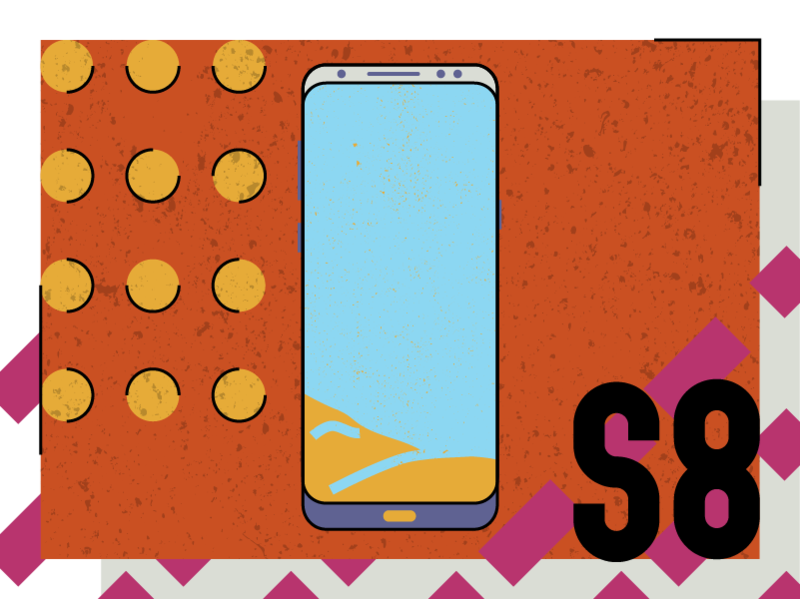 The S8 features the almost bezel-less Infinity Display, which flows over the phone’s sides, as well as a 12MP rear camera and a 8MP front camera. You also get an iris scanner and Bixby, Samsung’s built-in personal assistant. All in all, this is a great choice if you want a powerful device without splashing out. If budget is your main concern, there are a ton of older iPhones that still hold their own and a lot of them run the latest version of iOS too. Take your pick from the iPhone 6, 6s or 7! In terms of newer phones, the OnePlus 6T is a reasonably-priced but incredibly fast flagship handset (although it lacks waterproofing and wireless charging) while the Sony Xperia XZ3 features an incredible QHD+ HDR Bravia screen that delivers arguably the best movie-watching experience of any mobile. Ready to upgrade? Trade in your cell phone with Decluttr and we’ll give you an instant valuation, FREE shipping and next day payment!